:-) Does this mean you got a new computer? Two things. 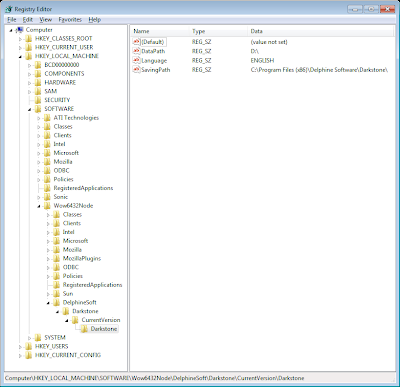 First, your DataPath value in Regedit has different values listed in the blog post and the screen shot. I think that I will never can play this game anymore! Wow thanks sooo much! I spent so much time setting up Virtual Machines like Microsoft VM and Virtual Box just to get this game working and that didn't even work! While "VM's" are a cool idea, they're not good for games. It's best to just try to find a fix for the game on the original OS. He means he thought that he would never be able to play this game anymore. Thanks so much, I've been wanting to play this game for a while. WoW is good and all but nothing beats a classic RPG like Darkstone. Just so you know the sound skipping bug was not in any previous versions. The game runs fine on Windows XP, and we never had that bug. Did you try checking if Windows Firewall was blocking Darkstone while it is running? Okay, so I've followed these instructions to the letter, and when I click on the application, I get a "Do you want this program to make changes to your computer?" sort of warning. (I'm guessing this is normal.) And after I choose to proceed. Nothing happens. Is there still something missing here? 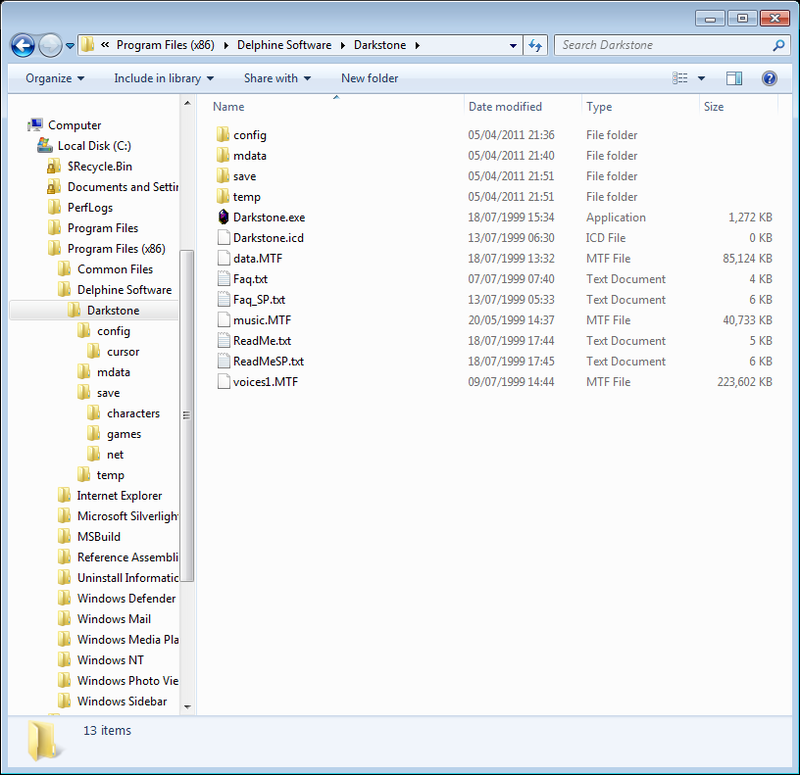 I followed everything up to changing the registry..(I run my games off a secondary HDD)It works! Thanks! Hello i have tried this about 5 time already and yet it still does not work please can somebody help me out here, i just a black screen and then a error comes up saying close program or report???? Does anyone's multiplayer working ? Thanks for the information. I didn't need to add the registry stuff for it to work. I would suggest running the program as administrator. my multiplayer works. running in win7. But the network has a lot of glitches. For instance on my screen my GF is blocking my way, while on her screen she is by then on the other end of the dungeon :P Did not find a fix yet. It worked for me aswell. Thanks for that! The only Thing I had to change was the compatibility mode. 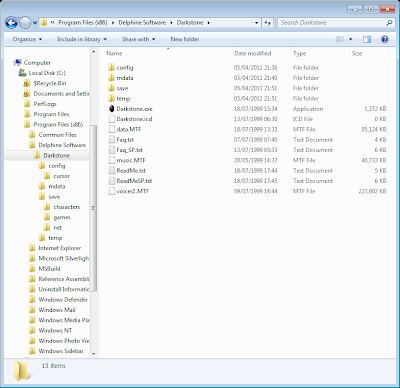 But did work with Win XP SP 3. HOW TO PLAY ON MULTIPLAYER MODE????? 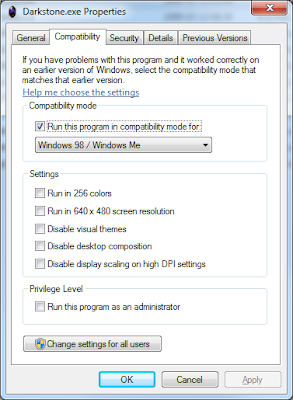 Also, how to get multiplayer to work on windows 7? 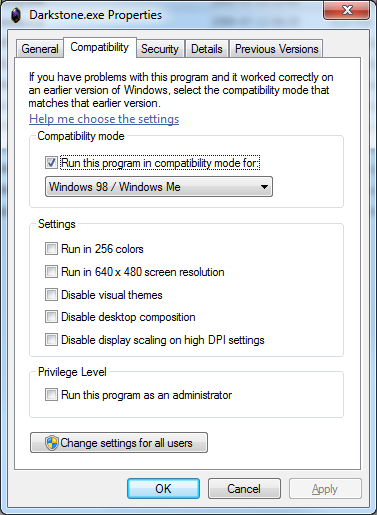 1) Remember the guide above tells you to change the compatibility to window 98/ME? Well, change that back to windows 7. The compatibility issue is installation, not gameplay. This should let you host a multiplayer game. 2) In order to join a session, both the host and guest need to disable their public firewall. Click Start > Control Panel > System Security > Windows Firewall > Turn Windows Firewall on and off (on the left side) > Turn off Windows Firewall (under Public Setting). This should do it. Make sure that everyone has the same patched version of the game. On the windows firewall, turn off window firewall for public setting for both the host and the guest computers. I used the above to get my old, beloved Darkstone running on Win7 64 but I'm running into a DirectX issue. I get the following alert "No DirectX installed. Please install DirectX 6 or upper" and it exits the exe. I am running DX11 at this point, is there a way to bypass the DX check or install a second version of DX for this game? I can hear the sounds of the first two videos, but the screen keeps black, so I don't know what to do since I've do everything in the post and coments. Any sugestions? You need to create every part of the key that doesn't already exist. 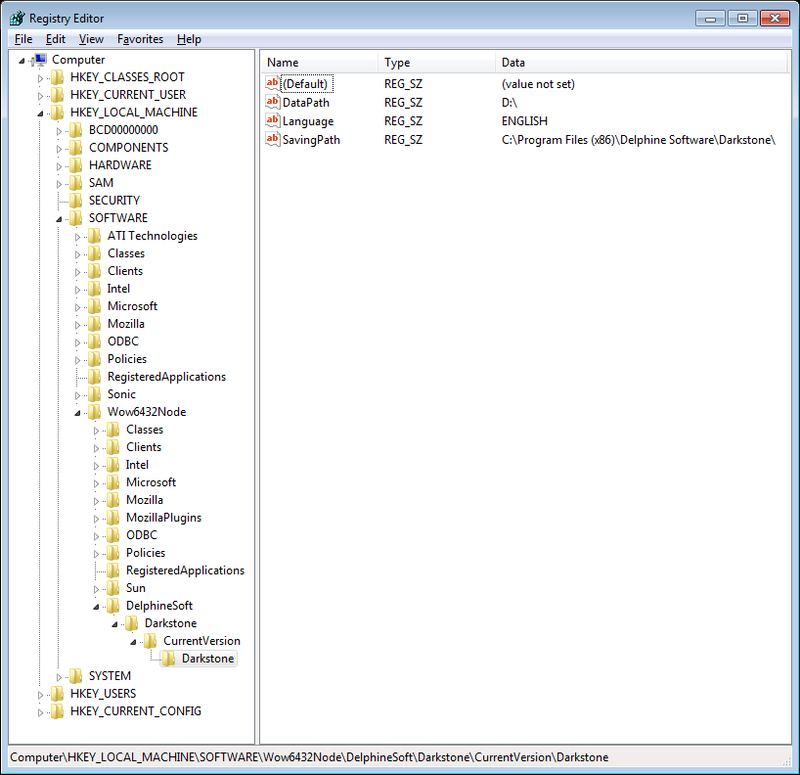 So if DelphineSoft doesn't exist then you need to create that, then Darkstone, then CurrentVersion then Darkstone. Good luck. Hello Jason, THanks a lot. It still gives that weird message about old file not found. However, a file of the same name was found. No update done since file contents do not match. I am trying to update from 1.03 US to 1.04US. I can only assume that the disc that you installed from is different from the original. Maybe it's a cracked version? I've never had any issues updating, and I haven't had any other comments saying so either. That's where the installer wants to put things. You can probably put the game in a different location, but I don't know what's involved with that. for both of the replies. It was me that asked both questions. It is indeed the no-cd version that is only around 87 mb that used to fit on the 100mb zip drive that we used to have in the uni. I will try the original copy of the game with the cd and see if I can update. First of all, thank you for uploading this usefull content. I've dusted off my good old favorite game and got it running on Win7. I do not know if you are still reading this forum, Jason, but I'm trying really hard to get this to work. But for some reason it is not. I have done all your steps(including the registry) but when i try to start the game, it still has error "System cannot find the specified file." It is reading as it is installed on my computer,however. When I try the "re install" option it asks if I want to uninstall first. I have the original disk from manufacturer. I do not remember if there was more than one disk, however. Any help would be great.